Faced with the challenge of putting together an important speech or presentation, where do you begin? 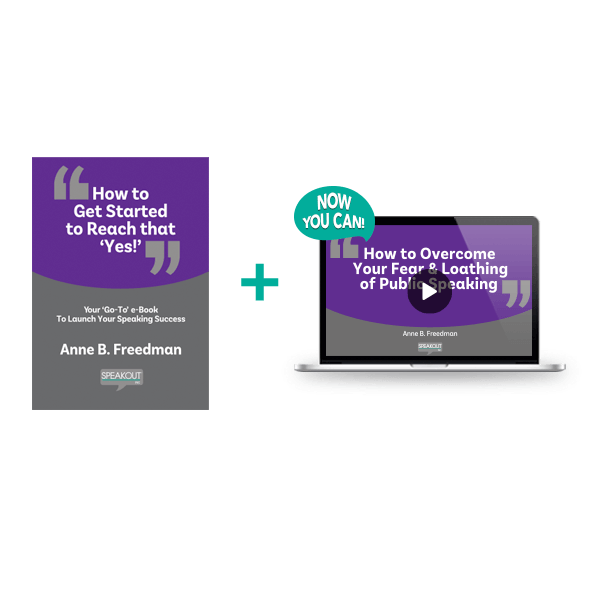 In this easy-to-navigate interactive E-book, you’ll find yourself answering critical questions about your audience, goals, knowledge, specialties and expectations, all leading to valuable insights that help you craft the foundation for a positive, persuasive message. What you can expect in this E-book is down-to-earth guidance to move what’s in your head and heart about your topic out into the open to better decide what you really want the outcome to be for your message. You’ll also have a place to freely brainstorm ideas and options, all designed to help you develop content that leads to a ‘yes’ at the end. Whether you like the big picture or prefer details, are people-focused or task-oriented, your success depends on how well you connect and influence the various types in your audience or team. In this concise E-book, you’ll find easy-to-identify descriptions and how to adjust your words and approach to reach your goals with each communication style, individually and in a group. Why is it you can get your way with certain folks and not with others? You’re not alone! This interactive E-book demystifies some of the key differences you encounter in groups, teams and boards and gives straight-forward recommendations to help you increase the odds of things going your way when it’s your turn to speak.